Mobile First is a theme obsessed with mobile-first and responsive design. Mobile First is a Gutenberg Compatible WordPress theme designed keeping in mind the responsive design. Be it any device – laptop, desktop, smartphone, iPad, etc. the theme will adapt to any device. It has useful features like the Twitter feed, social icons, and single post sharing that makes it a power-packed theme. Visible edit links in the customizer is a convenient feature that in this theme. It has drag and Drop Page elements like Slider Lite and Portfolio Lite – You can use these drag and drop options on all pages. 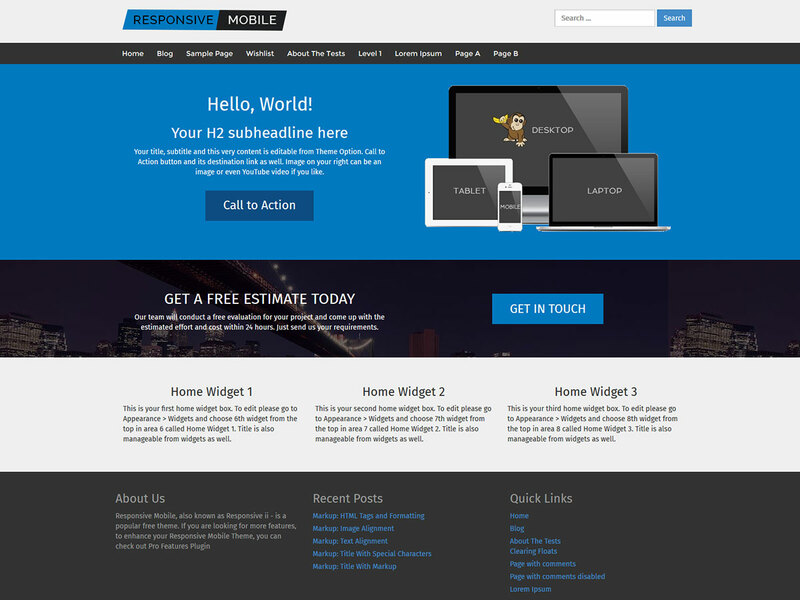 Its a dark Theme with beautiful typography that makes your website stand out. It provides search box in your main top area of the website and you can also customize the background with a stunning image of suitable background color. 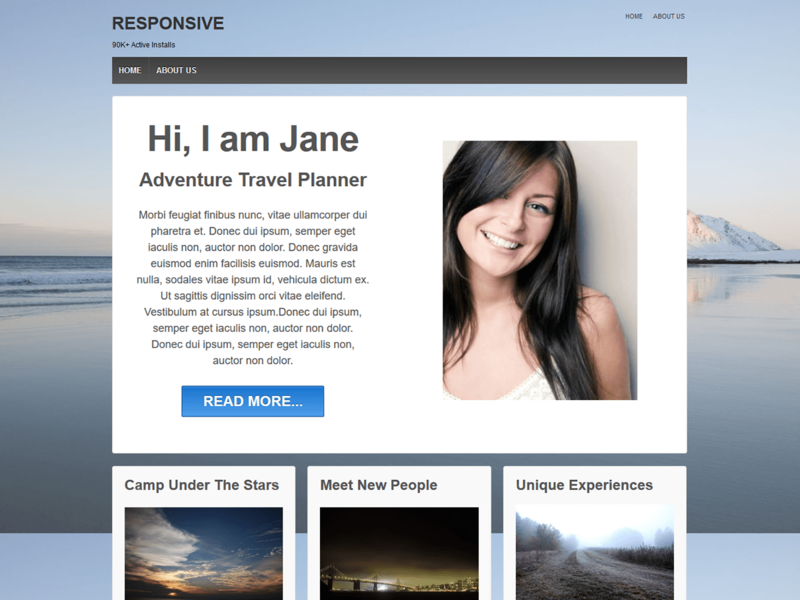 300+ Active websites are using this theme. New features are added regularly.